100% organic durum wheat spaghetti. 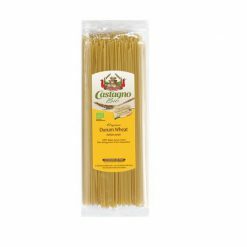 This spaghetti is produced with 100% premium quality organic durum wheat. Strict control of raw materials and production under vacuum ensures a consistently excellent taste and texture.